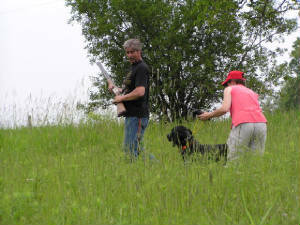 Mike was brought up hunting pheasants, sharptail grouse, and huns behind a dog in Minnesota, North and South Dakota. I on the other hand I was brought up in the Woods of North Central Minnesota hunting deer, rabbits, squirrel, and ruff grouse. Mike's first hunting dog was a springer spaniel, and from there he has went on to have Labradors and now Large Munsterlanders. My first dog was a German Shepherd for herding cows, from there I have had Toy Poodles, Labradors and now the Large Munsterlanders. Many years have now pasted since we were first introduced to the Large Munsterlanders. Today our lives are wrapped around our dogs. 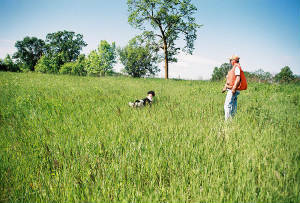 We fill the non-hunting time with training, and testing not only our dogs, but others as well. As breeders, we strive to maintain the qualities that the Large Munsterlander is known for. We are active members in the LMAA, the VGM Club of Baden-Württemberg Germany , VHDF and NAVHDA. 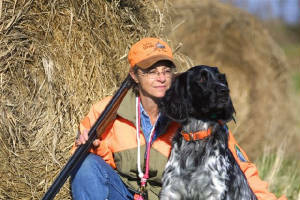 We hunt and test our dogs both here in America and Germany, so that we can provide to you the best pups possible. By doing so, we have been blessed with Progency Performance Awards on all our litters. 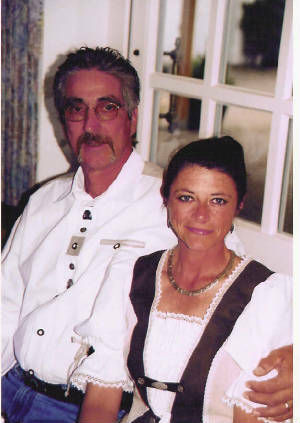 In 2004 Odin was able to achive the title vW in the Vorm Walde HZP test in Germany. After arriving home from Germany he attained a prize I in a UT test here. This made him eligible for the 2005 NAVHDA Invitational. On September 3, 2005 Odin participated in the Invitational and achieved the title VC. Since her has sired both a son and a daughter from different litters that have gone on to also achive the title of vW. vW Forest of Herz und Seele and vW Beine of Eagle Lake.